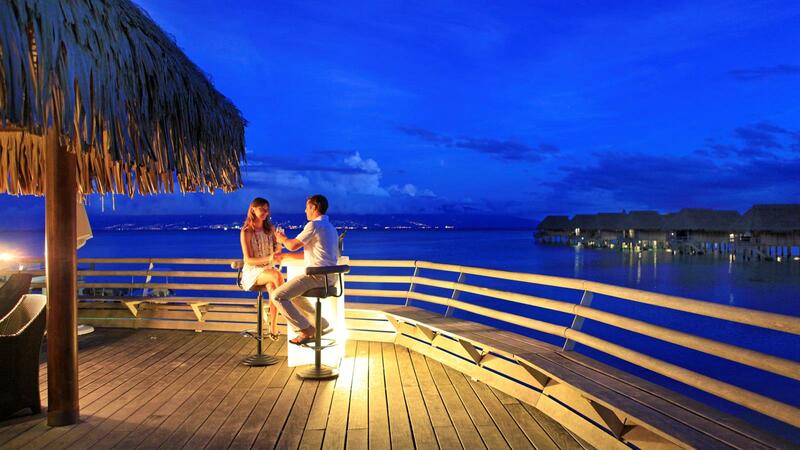 Enjoy 6 magical nights on Moorea: the “Magical Island” at the Sofitel Moorea Ia Ora Beach Resort and celebrate your love with a Tahitian Wedding or Renewal of Vows on the resort’s magnificent white sand beach during your stay. Because of its stunning scenery and heart-shaped formation, it's no wonder so many people fall in love with Moorea! Arthur Frommer declared in the travel guide that he considered it the most beautiful island in the world. Here, you'll find the real South Seas' experience - a casual, barefoot existence amidst white sand beaches and multi-hued lagoons surrounded by jagged mountains and volcanic spires. Package includes Overwater Bungalow accommodations, Ceremony conducted by a Tahitian Minister with Singers and Dancers, Flowers etc. followed by a Romantic Dinner for 2, Full Breakfast daily, a Tahitian Black Pearl for the Bride and Hotel Bonuses such as Champagne and Tropical Flowers. International Airfare, Inter-Island Ferry round trip and Airport Transfers included.